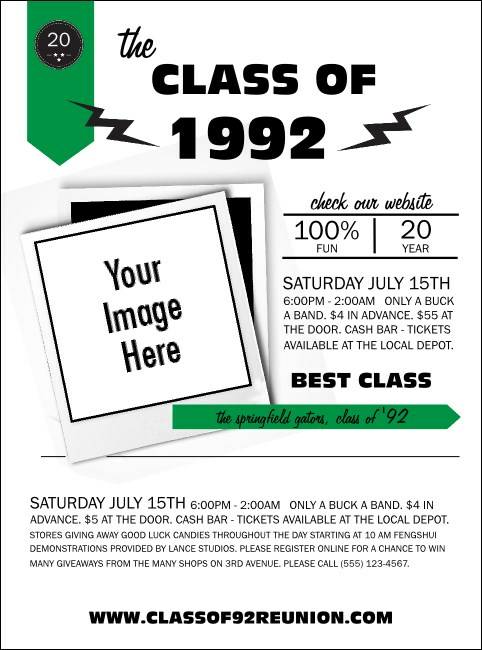 Reignite that old school spirit in your former classmates when you print Class Reunion Mascot Green Flyers in advance for your school reunion. Each Flyer features a classy green and white background with room to upload your own image, like your school’s mascot or a generous sponsor’s logo. Add a touch of class to your event at TicketRiver.com.au.